Last weekend, I photographed Darlene and Pedro’s Phoenixville Foundry wedding! Built in 1882, this former iron and steel foundry is an amazing venue for events, I am so excited to share their Phoenixville Foundry wedding! Darlene and Pedro first met in 2012 on OKCupid. After “meeting” online, they chatted via G-Chat and text message for an entire month before their first date in November of 2012 where they ate sushi and saw Skyfall in the movie theatre. On this first date, Darlene knew Pedro was the one when when they both cracked up laughing at the same part of Skyfall that somehow reminded them of Home Alone. 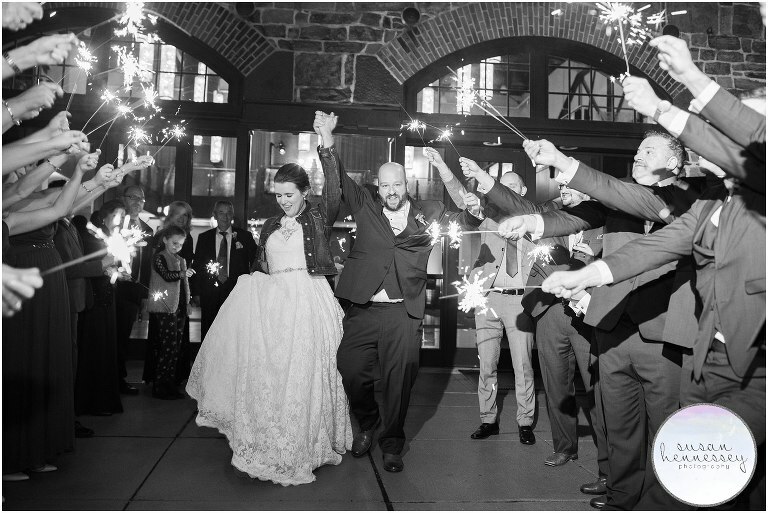 We fit so many amazing moments into their Phoenixville Foundry wedding. Upon arrival at the Foundry, we used the space for Darlene to get dressed, watched both her and Pedro exchange sweet gifts and before their first look in front of the World Map Mural (spoiler, Pedro cried! ), Darlene had a super sweet first look with her Dad. 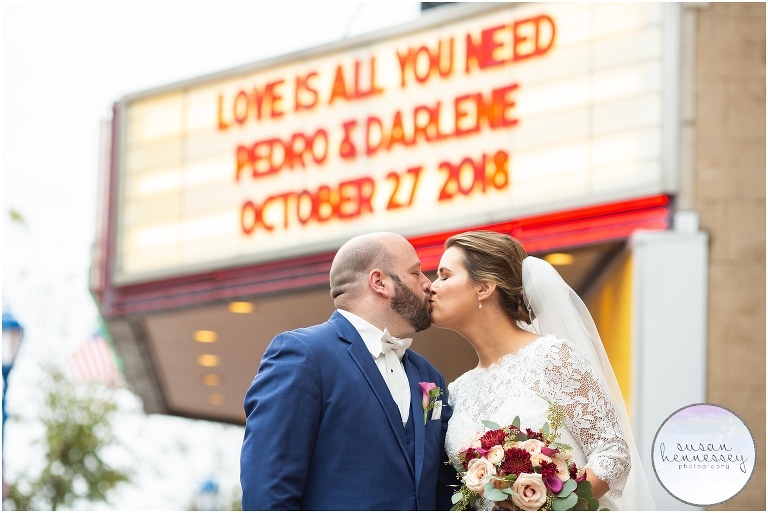 Once Darlene and Pedro’s first look was complete, we used the Colonial Theatre marquee as a backdrop for their photos. My couple had their name and date on the marquee which was such a great prop to have on their wedding day! 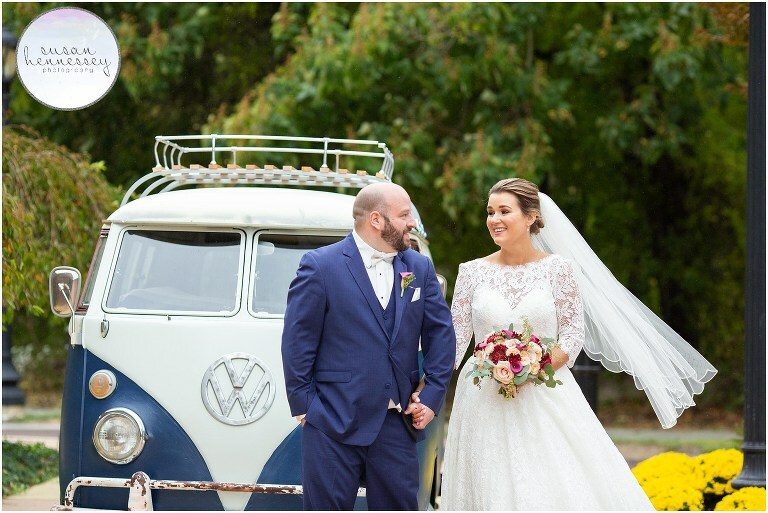 We also used their vintage Volkswagen bus in quite a few portraits, which wasn’t surprising since it was featured in their engagement session! After all portraits were complete, these two had a short and sweet ceremony followed by a fun reception with a great live band! Before the night was complete, we were able to get the bride and groom outside for a sparkler exit, which was such an epic way to end an already amazing wedding day! 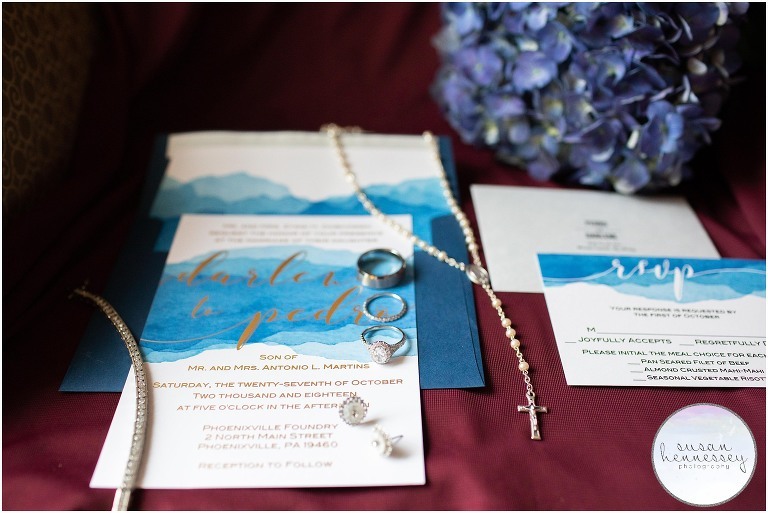 Are you planning a Phoenixville Foundry wedding? Click here to view my portfolio for more inspiration. Are you ready for more info? Click here to fill out my contact form! Transportation: New Rhoads Transportation Inc.